The true story of the history of M&M's sounds like something out of Willy Wonka and the Chocolate Factory. Anyone who considers themselves any kind of candy connoisseur has heard the phrase before, and most likely indulged in the candy it’s describing. Since being released to the masses in the 1940s, M&M’s have been a staple of the candy lovers diet. But, have you ever wondered where the name came from? 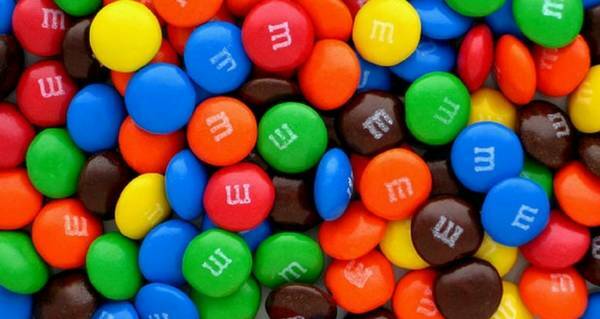 Most people believe that the famous M on the candy shell stands for Mars Incorporated, the company that produces M&M’s. But, that’s just half the story. The truth is, there were once two famous candy makers, both of whom had the initial M, who were responsible for the production of the beloved candy, and whose story ended in a twisted, Willy Wonka-Slugworth-esque scenario. In 1911, Frank C. Mars founded Mars Incorporated, a small confectionary business in the town of Newark, N.J. When it came time for Frank to retire, he groomed his son to take his place, provided he spend some time overseas to learn how to start his own business. While abroad, Forrest Mars Sr. noticed British soldiers eating small, pill-sized candies called Smarties, made of a chocolate center and a hard candy shell. He was shocked to see that the candies held up in the summer heat, and that they were small and easy to transport. Armed with his new knowledge – appropriated from British company H.I. Rowntree & Company – he moved back to the states to claim his spot in his father’s company. He secured a patent for the production of the chocolates, and, unhappy with the way his father was running the company, began to seek out a partner for his new and improved candy plan. Which brings us to the second M in M&M, Bruce Murrie. 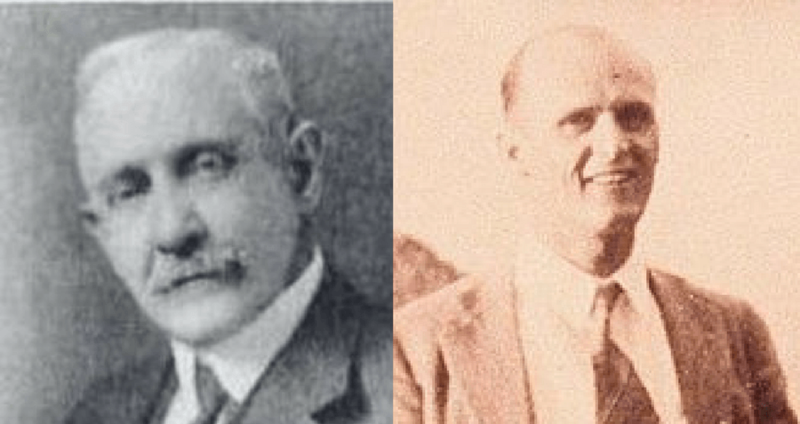 Like Forrest Mars, Bruce Murrie was the son of a candy magnate – William Murrie, the president of Hershey’s. And like Forrest Mars, he didn’t agree with the way his father was running his company, so he was looking for someone to team up with to change the industry. Fortunately, Murrie met Mars, and the rest was history. While Mars had the patent for the candy, Murrie had the chocolate. Together, they began to produce the first batches of their coated chocolate candies under a new company, known as Mars & Murrie. At first, M&M’s were sold exclusively to the U.S. armed forces, as the candies were heat-resistant and traveled well. 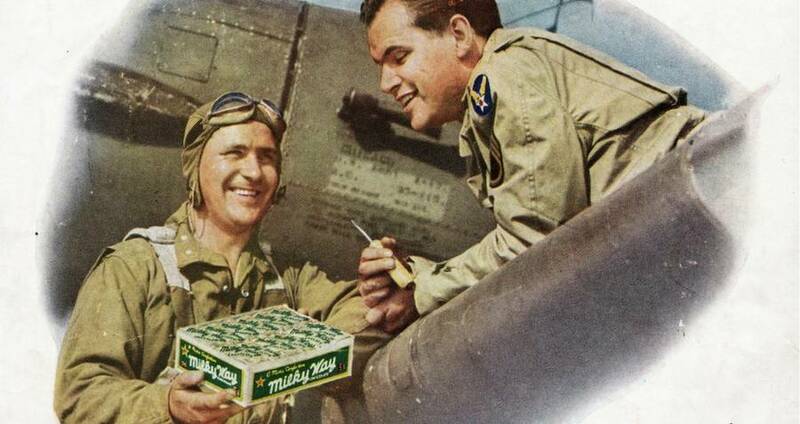 The partnership was successful, and upon the GI’s return home they would sing M&M’s praises. The good reviews helped spur demand and send production to an all-time high. To this day, M&M’s continue to be included in MRE field rations for U.S. soldiers. However, with the exciting jump in sales came a new low for M&M themselves. Murrie had realized that the larger the company got, the more Mars had become a nightmare to work with. Eventually, Mars became so impatient and unbending, that Murrie ended up taking a $1 million buyout just to be rid of him. Mars subsequently brought the M&M company back under the Mars name, and phased out Hershey’s chocolate in favor of one under Mars’ own name. In 1981, M&M’s again made history, when they were launched into orbit with the Columbia space shuttle, becoming the first candy in space. Three years after that, they were brought to national attention again, when they were named the official snack of the 1984 Olympics in Los Angeles. Since their rise to popularity in the 1950s, the M&M itself hasn’t changed much. The formula has remained much the same, though the colors and fillings have gone through a few changes. 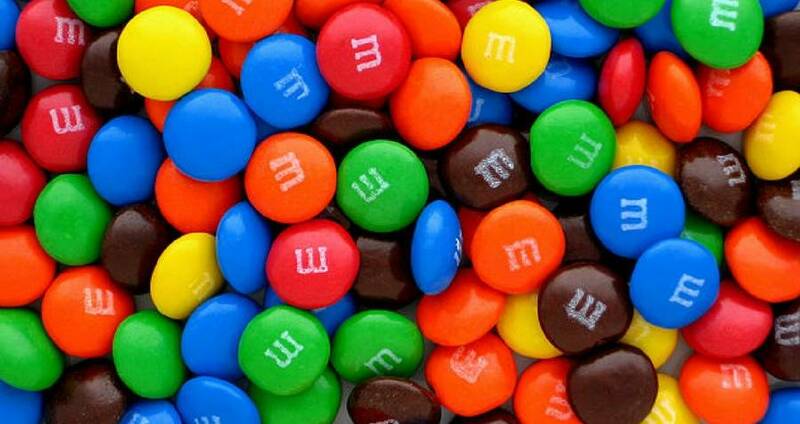 The original M&M was plain chocolate, with the signature candy shell, which came in brown, red, orange, yellow, green and violet. Today, there are dozens of M&M flavors, including classics like peanut and peanut butter, recurring flavors like mint and caramel, and interesting ones like pretzel and birthday cake. Though the candy is famous amongst Americans, not much is known about the candy making process itself. Mars Incorporated is still privately owned and funded, and rumors have swirled for decades about the goings-on inside the factories. Legend has it that contractors hired to repair machines once had to be led in blindfolded, that executives would disguise themselves for meetings with competitors and outsiders, and that the decision-making process is extremely cutthroat. According to Frank Mars’ files, not even the company bankers had access to the financial records, a tradition that may continue to this day — the company is rumored to make over $35 billion per year, which would place them around 83 on Forbes Fortune 500 list, though because they do not file federal tax information they’ve never been included. Though their secrecy seems extreme, and especially Wonka-esque, their history explains it all. After all, M&M’s themselves began as a reproduction of a foreign candy, what’s to stop someone from getting their hands on the M&M’s secret recipe and repeating history once more? Next, check out the real reason we tell our kids not to take candy from strangers. Then, take a look at these 20 strange candies.